Look, I know a new shirt isn’t big news, but I have to be honest: not a lot has happened this week. That I want to write about, at any rate. The quick dip into my local H&M was a definite highlight (as was the chocolate and salted caramel milkshake from Five Guys I downed whilst perusing the aisles) and the fact that I managed to nab myself such a pleasing bargain makes this prime weekly news fodder. New shirt alert! What’s printed with palm trees, has a soft feel and only costs £7.99? The Light Pink/Palms Jersey Top from H&M! I’m off to get another one of these first thing on Monday – I see online that they have the same cut in different prints, too, so I may have to grab a few alternatives whilst I’m at it. Excuse my murderous stare in the photograph – this particular picture was never actually supposed to see the light of day, it was just a quick test to try out a new background. I even have one eye more shut than the other, which isn’t ideal, but it’s the only photo I have of the shirt in question and I’m writing this in bed at 11.30pm on Saturday night so there’s no way I’m dragging myself back up to take a better one! 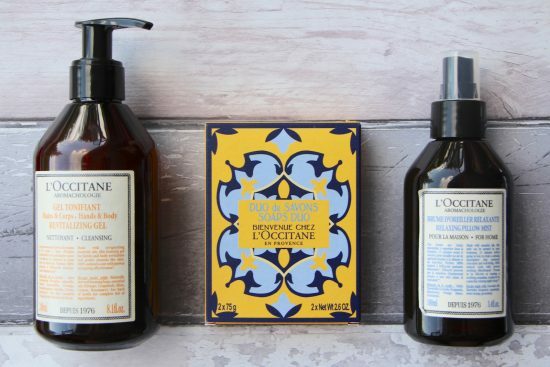 In other breaking news, well done to the following FORTY people who I am pleased to announce are the winners of the l’Occitane giveaway. Please hold tight and the brand will be in touch via email to get your prize choice and postal address! Lorah, Natasha (hollisn), Rebecca Burslam, Stephanie (stephcxh), Michelle Atkins, Katryna (katlmc), Clare (cprakel), Rebecca (@dunelm), Lottie (flareaforte), Lily (lhartdyke), SV (vannsd), Shelley (shelley.g), Jess (rbf2010), E Nicholls (enicholls73), Min (owenwall), Rachel Flounders, Anna (annahope97), Simon (si.jo.leaver), Claire (@mileshayler), Ria (riahickman), Sofi Paige, Bella (claire.jones2409), Sinead Hagen, Lu (lu82.lu), A Davison (angsplace), Tara Lynne Woolley, Jacqui Littler, Ali (@bacon), Amy (amybu), Josephine R Hetherington, Liv (vixen_25), Amanda (atghome), Nicola (nicola_dcmcg), Tiffany Ye, Stephanie (vampireblood69), Beth McLaughlin, Sarah (si2004), Zabiba (zabiba_kohli), Nikki (nicola_pile), Tamara (tamaravoituron).